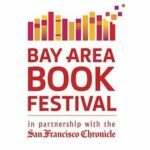 UC Press will be participating in the first-ever Bay Area Book Festival on the weekend of June 6th and 7th. Not only will we have a table on-site where we’ll be selling some of our most popular titles, but many of our great authors will be in conversation with other authors, poets, and journalists. The event is free and open to the public, and there are activities for book lovers of every age. We hope to see you in Downtown Berkeley on June 6th and 7th! You can go to the Bay Area Book Festival website for more details. 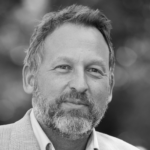 Phil Cousineau, editor of A Seat at the Table, will be participating on the “Book Publishing’s Middle Ground” panel. Phil Cousineau is the author and editor of numerous books, including Once and Future Myths: The Power of Ancient Stories in Modern Times (2001) and The Art of Pilgrimage: The Seeker’s Guide to Making Travel Sacred (1998). The panel will be held at the East Bay Media Center on Sunday, June 7, from 12:00-12:50pm. Peter Hecht, author of Weed Land will be on participating on the panel titled, “The Pill, the Joint, the Story” alongside Sam Quinones. Weed Land offers an independent, meticulously reported account of the clashes and contradictions of a burgeoning California cannabis culture that stoked pot liberalization across the country. Peter Hecht is a senior writer for The Sacramento Bee. His reporting on the marijuana phenomenon was honored in the Best of the West journalism awards and earned an Excellence in Journalism prize from the Northern California chapter of the Society of Professional Journalists. “The Pill, the Joint, the Story” will be held at the Brower Center in the Kinzie Conference Center on June 6 from 10:00-10:50am. 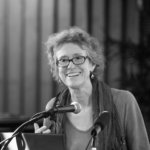 Arlie Russell Hochschild, author of The Managed Heart, So How’s the Family?, and The Commercialization of Intimate Life will be on the “Ourselves, Our Families: The Stories We Tell” panel. Arlie Russell Hochschild is a Professor of Sociology at the University of California, Berkeley. She is the author of three New York Times Book Review Notable Books of the Year, including The Second Shift, The Managed Heart, and The Time Bind. She has received numerous awards and grants ranging from Fulbright and Guggenheim Fellowships to a three-year research grant from the National Institute of Public Health. Her articles have appeared in Harper’s, Mother Jones, and The New York Times Magazine, among others. “Ourselves, Our Families” will be held on Saturday, June 6 at The Marsh Cabaret from 3:30-4:20pm. Waldo Martin, co-author of Black against Empire, will be appearing on the “Race, Class, Movements, Justice 1960s to Now” panel. Black against Empire is the first comprehensive overview and analysis of the history and politics of the Black Panther Party. Informed by twelve years of meticulous archival research, as well as familiarity with most of the former Party leadership and many rank-and-file members, this book is the definitive history of one of the greatest challenges ever posed to American state power. Waldo E. Martin, Jr. is Professor of History at UC Berkeley. He is the author of No Coward Soldiers: Black Cultural Politics in Postwar American, Brown Vs. Board of Education: A Brief History with Documents, and The Mind of Frederick Douglass. The “Race, Class, Movements, Justice 1960s to Now” panel will be held on Saturday, June 6, at The Brower Center in the Kinzie Conference Room from 11:00-11:50am. Michael McClure, poet and author of Of Indigo and Saffron will be appearing alongside musician George Brooks on a “Words and Music” panel. 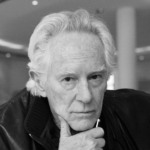 Michael McClure is an American poet, playwright, songwriter, and novelist. He has collaborated with prominent artists, poets, and musicians, including Allen Ginsberg, Jim Morrison, and Terry Riley. 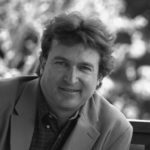 McClure’s journalism has been featured in Rolling Stone, Vanity Fair, The Los Angeles Times, and The San Francisco Chronicle, and he has received numerous awards, including a Guggenheim Fellowship and an Obie Award. His books of poetry include Mysteriosos and Other Poems, Huge Dreams, and Rain Mirror. “Michael McClure and George Brooks: Words and Music” is on Saturday, June 6 at The Brower Center’s Goldman Theater from 12:00-12:50pm. 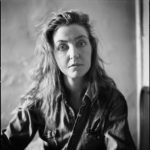 Rebecca Solnit is author of Infinite City, Unfathomable City, Storming the Gates of Paradise, and Savage Dreams, among many other books. She will be appearing at two events at the Bay Area Book Festival. On June 6 she will be in conversation with Christian Frock at The San Francisco Chronicle Stage at Freight & Salvage from 5:00-5:50pm. Also on June 6, she will be on the “Transforming Terror” panel alongside Mark Danner, Claudia Bernardi, and Susan Griffin. “Transforming Terror” will be held at The Brower Center in the Kinzie Conference Room from 12:00-12:50pm.